Millions of Microsoft users were left unable to access some online services overnight because of a major service failure. 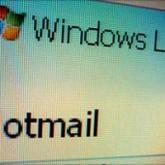 Hotmail, Office 365 and Skydrive were among the services affected. Microsoft was still analysing the cause of the problem on Friday morning, but said it appeared to be related to the internet's DNS address system. Such a major problem is likely to raise questions about the reliability of cloud computing versus local storage. Especially embarrassing is the temporary loss of Office 365, the company's alternative to Google's suite of online apps. Its service also went offline briefly in mid-August, less than two months after it launched. The latest disruption is believed to have lasted for around two-and-a-half hours, between 0300 GMT and 0530 GMT. In a blog, posted at 0649 GMT, Microsoft said: "We have completed propagating our DNS configuration changes around the world, and have restored service for most customers." The Domain Name System (DNS) is responsible for translating URL web addresses , such as bbc.co.uk into the internet's native system of IP addresses, e.g. 212.58.246.95.